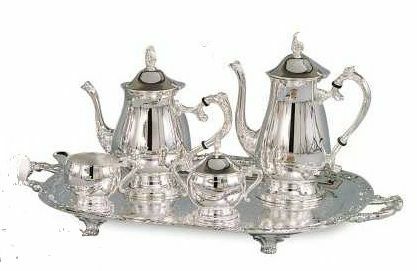 Elegance® Silverplate Romantica pattern coffee and tea serving set. 5pc. Includes coffee and tea server, creamer and covered sugar, all on a lovely handled footed serving tray.